In June, 2013, South Africa customer contacted us and wanted 1 set HD Series sludge dewatering machine for 25t/d tissue paper making line. Leizhan professional workers provided a tailored solution to the customer immediately and finally we reached a deal. Leizhan and the South Africa customer keep communicating ever since and look forward to another cooperation. HD Series Dewatering Machine: It mainly used to concentrate sludge in paper making industry, municipal engineering ,etc. 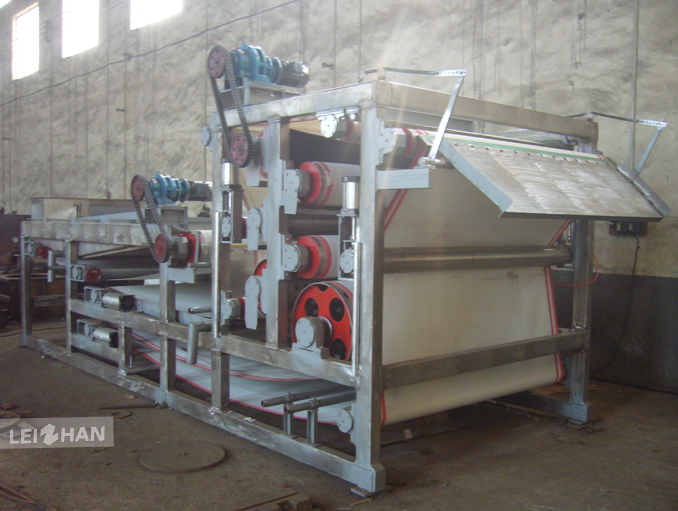 paper pulp machine and it has the features of double helix net structure, wedge area pre-dewatering, special designed dehydration roller, equipped with pneumatic tension device, high sludge concentration, low energy consumption.